North Londoners Have Got It Going On! During my recent blog surfing I came across the most extraordinary tale. 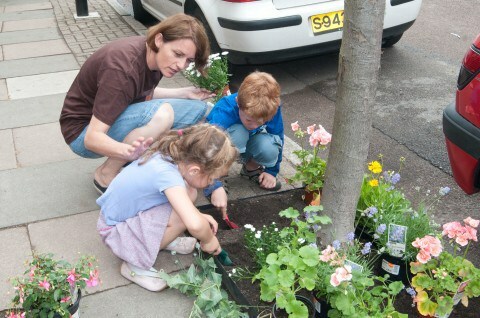 It started back in 2009 when Islington Council in North London offered free wildflower seeds to local residents for use in the ‘tree-pits’ on their streets, the little spaces of soil at the base of each tree squished in by the pavers around it. 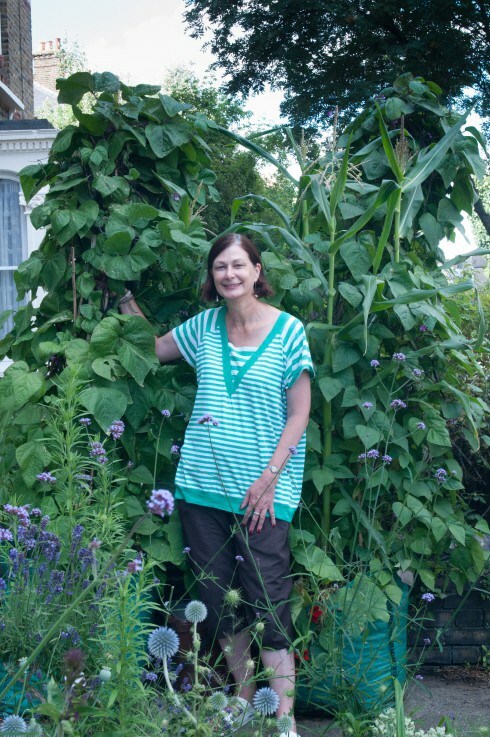 Inspired by the free seeds and the concept of beautifying their little part of the world two neighbours, Naomi Schilinger and Nicolette Jones of Finsbury Park, joined forces to start something of a gardening revolution. The grow pots here have corn, runner beans and squash all growing together. Known as the 3 Sisters, growing the three crops together is a Iroquios tradition that seems to do well in North London, too. (Swoon!) Who doesn’t love that? Just amazing. And so inspiring! Their Cake Sundays sound amazing. I wonder if my neighbours would join with me to do a Cake Sunday? Sigh. I miss that kind of neighbourly connection. Don’t they look divine? I’m totally eyeing off those sweet little fairy cakes with the blueberry centers. One of the other big deals (to me, anyway) is that now the program has been up and running for a while the organisers are able to collect seeds from their own plants, year over year, to give away for next year’s plantings. So not only beautiful, productive and community enriching but self-sustaining and economical, too! 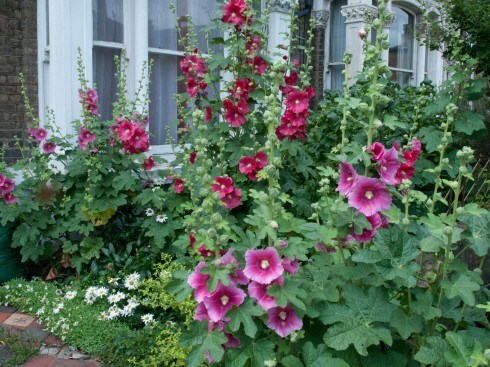 Gorgeous hollyhocks grown from seed collected the previous year. There is just so much fabulosity here I can’t stand it! I’m totally looking up flights to London where I will track down the amazing Finbury Park neighbourhood and start door knocking until someone lets me in just so that I can bask in all their reflected awesomeness. Yes, it is a little stalker-y and for that I apologise in advance. To the good citizens of FInbury Park, North London I give you mad props and snaps! You guys are amazing! 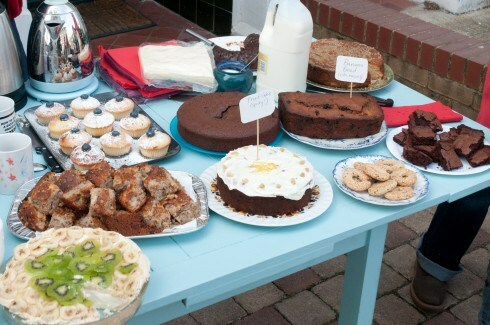 Does your community get together to eat cake and garden? I’d love to hear about it if you do! You can continue to follow this amazing story on Naomi’s blog Out Of My Shed. They have also published a book, Veg Street Book, that cronicles their community gardening adventures. What a fantastic idea! Going to do this in my yard…..thank you! Ooh, I hope you do. And I hope you invite me to your Cake Sunday, too! Don’t they sound fabulous?